A new mobile ad-blocker, more powerful than other types of similar software on the market, has been approved on Apple's iTunes app store. 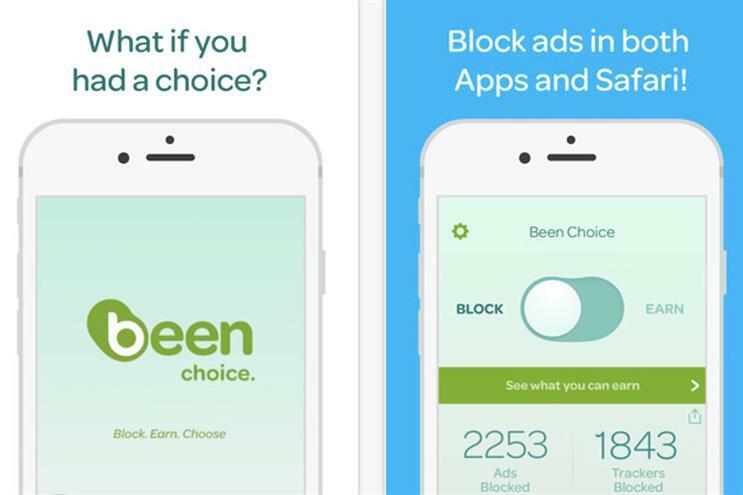 Been Choice, which was launched in the US this month, claims to be "the most powerful and comprehensive blocker for your entire iPhone". As well as blocking ads on the Safari internet browser, it can prevent sponsored posts on feeds, block ads in apps such as Facebook and Apple News, and prevent third-party trackers. The free app also has an ‘earn’ mode, which incentivises users to earn points and potentially make $20 a month by agreeing to be shown ads and allow Been Choice to collect information about how they use their smartphone. It does not appear to be available in the Apple’s UK app store after it was launched in the US. Currently mobile apps are unaffected by web-based ad-blockers such as Adblock Plus, Crystal and Purify. The app's launch comes weeks after Peace, an adblocker which quickly became the most popular app on the iTunes app store within days of being listed, was quickly pulled by the owner because of ethical concerns. Marco Arment, the founder of Peace, said at the time: "Ad blockers come with an important asterisk: while they do benefit a ton of people in major ways, they also hurt some, including many who don’t deserve the hit."